I’ve noticed a trend among financial bloggers recently. People have started playing around with high-reward credit cards for fun and profit. Signing up for them in bulk, scooping the signing bonuses, strategically using the good ones, and cancelling the duds. Now, I’m no novice to the idea of a cash back credit card: I used a REI Visa from 1999-2006 that yielded 1% cash back on all purchases, which added to several hundred dollars each year. In 2006, I switched to a Travelocity American Express that doubles the reward, giving the equivalent of 2% back on most purchases, and 10% back on travel. The only hitch is that the rebate can only be applied to travel purchases booked through Travelocity (air, hotel, car rental). This wouldn’t work for everyone, but it works for us since we travel at least once or twice each year. Sometime around 2006, when interest rates were high and yet credit was still loose, Chase started sending me checks for my business card that could be used to pay any bill – and they were offering a 0% annual percentage rate. After reading the fine print, I saw that the conditions were favorable. So I used one of those checks to max out the card’s $50,000 credit limit, and used the proceeds to pay down a construction loan which had been charging me 7%. This allowed me to pay the much better rate of Zero percent for one year instead. Meticulously noting the payment deadlines, I played it carefully and paid it off on time, saving several thousand dollars in interest. Today, the credit card companies still send similar checks, but they now have much sneakier conditions like “0% APR for one year!” (except a fee of $10 or 3% of the balance, whichever is greater). Excuse me, but that’s a 3% APR, about the same as my existing home equity line of credit. Trying to mislead customers like that is a huge FAIL and should be illegal. So I now mutter a few swear words at the bank as I shuttle each of these offers from the mailbox to the document shredder. But this year, I’ve noticed another opportunity opening up: credit cards that pay you an absolute shitload of money to sign up. In the olden days, people would sign up for a card for something silly like a t-shirt or a little clock radio. The banks surely had a good laugh, since on average each new customer yielded thousands of dollars of profit for them – through transaction fees paid by stores, and through charging people hilariously high interest rates for short-term loans, which they miraculously paid willingly. They built an army of slaves, paying 18% interest plus various ridiculous surcharges and fees, on money that was really worth somewhere between 3-7%. Slowly, capitalism has escalated the battle and the card issuers are being forced to compete for slaves. They do this by offering an ever-increasing share of profits back to the consumers. Now it has reached the point where you’d be a fool to sign up for any card offering less than a $100 reward for joining, and some will pay $400-$500. As far as I can tell from reading the user agreements, there is no unusual downside to these cards – there is no annual fee and the cash back and benefits are competitive with older cards. One friend of mine makes quite a game of this, keeping a boquet of 14 active cards in a special folder and cranking all sorts of “manufactured spending” through them. He also works the Swagbucks system and various other coupons and gift cards. But this is too much of a job for a retired man like me. If I’m going to take action on a consumer deal where I am effectively doing battle with a clever demon who is trying to fool me, it had better pay me several hundred dollars, and take only a small number of hours of total work. The card came within a week, with an $8000 credit line. Not the biggest account in the world, but still plenty of spending room for my little construction business. There was the usual sticker on the front telling me to “call to activate your new card!”. When I called, the automated system asked me to enter the last four digits of my card, so I did. I was expecting the system to finish off by asking for my zipcode and then leting me go, but instead the voice announced “Please hold on, we are transferring you to one of our business specialists”. Uh-oh. I didn’t ask for a “Business Specialist”. Is there a problem? You don’t need a human involved to activate a credit card, unless there is a glitch in your account, or some fishy sales pitch coming up. I accidentally laughed out loud, because she had just called me “honey”, but I pulled it together and explained that I don’t buy a significant amount of office supplies or gas for my business, so the card is effectively a 1% card to me. “Yes, I am aware, but I thought I’d start with this card and see how it goes [and scoop another $400 bonus for that card, I figured to myself], then call you back later for more advice. Also, I’m a part-time financial writer and I specifically wanted to review this card for my readers”. That last comment seemed to speed things up considerably, so she thanked me and let me off the hook with a new card pre-loaded with 40,000 bonus points – redeemable for $400 in cash at some unspecified time after your first purchase*. Then I logged in to chase.com, being sure to set up a full monthly automatic payment to avoid any risk of incurring interest charges. I noted that the default was set to “minimum payment” which would obviously lead to disaster. Another mark on the “credit companies are evil and sneaky” scorecard. I Checked the rewards balance – nothing there yet of course, since I have not even made my first purchase. But it will come, oh yes, I am looking forward to it with a small amount of glee. This is a pretty long description of a fairly mundane transaction. But it does represent a significant source of sneaky income for someone with time on their hands and a desire to accelerate their savings. Mike’s earnings were equal to about 10% of my family’s total 2011 spending. And I actually just cashed in $100 from my previous business card before being tempted by this offer. So Mr. Money Mustache is now up Five Hundred Bucks as well. Thus, while gaming the credit card system may not be fun or educational after the first card or two, it can be quite profitable when calculated on an hourly basis. Ethically, I view it as a small win for the forces of good over evil, since I am transferring money out of a big bank’s profit stream, and into mine. And I’m reducing the profitability of this very bank practice of luring victims in with initial cash, which may decrease its prevalence over time. It will probably cause temporary dips to your credit rating, since you are triggering inquiries on your account. But by eventually cancelling any unneeded temporary cards, and being sure to keep your oldest card active, you should still end up with a continually increasing credit score. I don’t care about my own credit score in the short term, since I have no borrowing planned. In the long run, however, I do want to keep it up in the 800s in case I ever want financing on a future house or investment. Also, I don’t recommend credit cards at all to anyone who ever finds the need to run a balance and actually pay interest. They are too dangerous and expensive to use as a source of borrowing. Finally, be sure to log in or call and opt out of all possible marketing from the credit card company within 30 days of getting any new card. They make money by selling your name to other bad guys, and opting out really does help. Despite having several credit cards, businesses, homes, cars and other consumer things, I get virtually no junk mail from outside companies – just occasional junk from the banks I currently do business with. With no newspaper or magazine subscriptions coming to my house, I find this junk mail to be an essential resource for starting campfires. “I don’t want to know anything about all these silly cards – just keep me in the dark and let me know how much money we made once they are DEACTIVATED”. Smart woman, but I’ll still have a chuckle when I deposit that $400 into my account. Update: On February 12th, I logged on to check my balance and found that the rewards were now available. $403 smackeroos, which includes the signing bonus and the standard reward on one month’s worth of business expenses. I requested a check immediately, so it’s now in the mail. Update 2: On February 23rd, I received the $403 check! The money is real!! So I put it back into the mail for deposit into my ING direct bank account (I could also throw it into my local bank machine, but the weather was crappy today so I decided to let the mailman do the work). Total time from application to Monetary Consumation was about one month – not bad at all. Update 3: Do you want to game the system yourself while possibly supporting the MMM blog? You can now browse through a list of referral links I have started collecting to high-rewards credit cards, and see if any suit your fancy, by looking at the Credit Cards page I have set up. Just be careful out there – avoid annual fees, don’t do balance transfers unless there is no fee, and NEVER pay interest on a credit card balance! *You can also redeem 25,000 points for a plane ticket worth up to $335, which could be a way of expanding bang for the buck, as long as their online redemption center shows the same flights at the same prices as the airlines. Previous Post: Introducing the ¡Random! Button Next Post: Reader Case Study: Student Loans or Saving for a Home? I’ve done this a number of times, the last was for a Sony card which gave me $300 for the priviledge of using their card to make one purchase. I don’t go out of my way to look for these deals, but I do take advantage of them occasionally. I tried to get an REI card with a $100 bonus last month. They never said in the fine print that you needed to be an REI member, but once I spent all my time signing up and doing the paperwork they rejected me because I wasn’t a member. Not sure if the time and hassle has been worth the money I’ve made over the years getting these rewards, but I’ve never had any real problem with them either. In the last two months I picked up $500 this way. I opened up a Chase 1% Cash Back credit card and received $300 and $200 for opening up a checking account with Chase. The $500 went to pay off the rest of my auto loan (the last auto loan I will ever have). Nice way to start the New Year. Ha! tip toeing thru the mine fields, are we? I’m with Mrs. MM on this one: it ain’t over till it’s over. While I’m sure you, Mr. MM, will come thru unscathed, it seems a real PITA to deal with. After reading this post and the comments carefully, maybe this crusty old dog can learn a new trick. !st you all have inspired me to revisit my two reward cards. We’ll be focusing on AMEX Blue going forward. After $6000 in charges the reward jumps from 1/2% to 1.25/ 5% and it is cash. 2nd I decided to take a closer look at the next offer that comes in. Turns out it is a BoA VISA offered to my wife. $100 cash reward if you charge $500 in the 1st 90 days. easy to do. 3% on gas, so it’s not a bad reward card in and of itself. I loathe BoA, but we’ll hold our nose and take the $100. It also offers 0% APR for the 1st year, reverting to 18.99%. Holy crap! This at a time when the Fed funds rate is effectively zero. So there’s the trap. Since we N-E-V-E-R carry a balance, this won’t matter to us. I used the 0%-for-a-year trick to pay down a significant chunk of my student loans a while back. It’s a nice tactic if you have the discipline to pay it all down in time. I’ve been eyeing the Fidelity Amex for a while. No signing bonus that I’m aware of, but you get 2% cash back right into your brokerage account. A nice invisible savings plan. I have about $15,000 in student loan debt and would love to pay it off now to avoid paying the interest that is slowly accumulating ($2.20 / day). At my current rate I’ll have it payed off in the next 4 months but If I could save that $120 or so by paying it off with a 0% credit card that’d be better. Any suggestion on a card that I could use to pay off the remainder of my balance? The Chase Slate is a good one for that – 0% transfer fee and 15 months without interest. I thought you couldn’t pay down student loans with a credit card? We have a card that pays 1.25-1.75% cash back. *Everything* goes on there for the bonus. This year we even put our property taxes on the card. It gets paid in full every month. I’m too nervous to sign up for new cards for the bonus though. Perhaps I need to stop wimping out and try it since it’s seems like easy money. Btw, we rent out rooms in our house on Lake Tahoe north shore for pretty cheap. We’re actually living in a 3 bedroom house *on the beach* for about the price of a studio apartment by renting the extra rooms. Email me if you haven’t already booked something with those Travelocity credits. We played the credit card rewards game for an entire year (2011) while checking my credit score before and after. We opened and closed them as fast as we could with reckless abandon, up to the point of getting denied a few times for “too many credit inquiries recently”. To make the long story short, my credit score went from 740 to 770. One of the “negatives” I had on my report was “too many accounts opened” (or closed). But ironically, the base number went up. It is still beyond me how these numbers are calculated. We have 0 debt, paid off our house last year, and have had 0 late payments in over 20 years. By all logic, we should have a higher score. We stopped for a few months, and started again when Chase was offering $200 for a new checking account for which we only had to deposit $1500 to avoid fees. $200 for a $1500 6-month investment is a nice 27% return. Very impressive, Gypsy! Sounds like you are a much more advanced player than me and it is interesting to see that there was no credit hit at all. I think you get a higher score from having had more interest-charging debts over your lifetime. I may benefit because I had massive construction loans in my name at one time – over a million dollars when added up over time – which were later fully repaid. I suspect part of why it isn’t even higher is all those paid off accounts are now closed, and you get credit for having different types of accounts open – a couple credit cards, a house loan, an auto loan – as opposed to just lots of credit cards. The real purpose of the credit score is less about how creditworthy you are, and more about how profitable the industry thinks you’ll be. That’s why paying off all your debts can actually lead to a lower credit score. My dad hasn’t carried a dime of debt in over 30 years other than one credit card, which he pays in full every month. He has never been late on any bill in his entire life. He has well over $1 million in assets, much of it liquid. His credit score is in the low 600s. Not that I’m not cynical of our capitalist system, but I don’t think it is as sinister as all that. The credit reporting agencies have no way to know your assets or income. All they know is your credit history. If you have little or no history, they have no basis on which to give you a high score. While I have held debt, I have paid almost no interest, due to carefully gaming the system with various no interest introductory offers. I have gotten more in cash back than I have paid my credit card companies in interest over the years. In the sense of profitability, that should make me worse than you dad, who is neutral to them. Yet my score is only a little below 800. It was just over it, until a paid off my RV/home loan, after which I had only revolving accounts. One of the things they take into account is the number of different types of loan you have, as well as the total amount of credit you have – thats why paying off debts can lower your score. When non-revolving accounts are paid off, they are normally closed, which reduces both your total credit and number of accounts. Consider that the higher the percentage of credit you have is used, the lower your score. If your cynical view was correct, one would expect the opposite. I don’t think assessing your profitability is sinister at all. It’s perfectly reasonable. Just understand that the credit reporting agencies are paid by and serve creditors, not you. There’s nothing at all wrong with that per se, but it means that you need to take responsibility for protecting your own interests. Also, creditworthiness is part of the profitability calculus. A big part. But it’s not the only part. You also have to be willing to take out debt and hold it over time to be a good prospect for a creditor. Again, this is not sinister per se. Creditors incur expenses when they make out loans. There are paperwork and maintenance costs involved. If you immediately pay off your debts without paying some interest to them, they’ll lose money on you. They’ll want to charge you more interest accordingly, as you’ll likely hold the account for a shorter period of time. That’s not evil, it’s just business. You just need to be aware. They also make almost 3% off the merchant, so I think they’re happy to have you using their cards even if you pay off the balance immediately. Bakari, if you are still active I do not understand the line quoted above, could you explain? I am sure once the meaning is pointed out it will be clear, but I do not understand it now. Once he paid off the home loan, that line of credit was closed entirely. This affected 2 of the bit factors that go into determining your credit score. 1) The number of different types of credit you have open and active (credit cards, home/auto loan, etc.). In a typical loan/mortgage the line of credit is immediately closed once you pay it off, and therefore he had less variety in his credit. That dropped his score a bit. 2) Your overall credit utilization plays a big part too. Say he had an 180k mortgage and 20k worth of credit limit on his cards, and a total balance of 5k. That’s 2.5% utilization of his total of 200k in credit. Once that mortgage is closed he has a total of 20k in credit. If he puts 2k on those credit cards each month that’s a full 10% utilization of the 20k total credit. There’s a sweet spot of carrying a balance on your lines of credit that’s a small percentage of your overall credit limits that is best for your credit score, and that *percentage* automatically got bigger once that mortgage disappeared from his active credit. Which is why Dave Ramsey says it’s not a credit score but a debt score. Thank you for this badassity! you are the coolest. I normally am an extensive schemer, and will do lots of work to feel like I am beating the system, but I am still wary of these credit card deals simply because it requires constant vigilance, which I sometimes lack. the time investment by itself doesn’t scare me off, just the idea that I will space out and forget to do something that will end up costing me money. Do these card deals have a minimum time that you have to keep the card? or can you cancel it right after redeeming the reward? All the ones I’ve used you can cancel the night after the reward. What you need to keep track of is when you get the reward so you can close it… or if you have pending transactions that have yet to be posted. If after claiming the reward, you then pay it off in full, and never use it again (even cut the card in half if you like) then there is no possible way it can ever cost you money. Absolute worse case scenario, hackers charge some crazy thing to your card in a foreign country, which requires a phone call to sort out. And then the account just sits there, quietly improving your credit score in the background. Been following the blog for the past month or so. Read this blog yesterday and felt compelled to deal with a rewards card snake that had just bitten me. Signed up for an Amex travel rewards card just over a year ago. To my horror, saw an annual fee charged in December of $230.00 (180 + 50 for a supplementary card). Called Amex and with the first person redeemed $360 towards flights recently booked, transferred to person #2 to cancel the card and then to person #3, supervisor to 2, to get the 100% fees refunded. Person #2 could only offer me a 75% refund of fees since I had just missed the deadline for cancellation. End result: about a $450.00 credit transferred to my costco amex after paying off the small balance accrued since the last statement. Thank you for getting me off my duff to spend the 20-30 minutes necessary to make it happen. Silly as it sounds, sometimes I just don’t get around to these things as quickly as I should, or just don’t bother. Rewards programs are great for people who have the time and inclination to track the details to avoid getting bitten. And if you have the time when you sign up, you may find yourself too busy when you need to do what’s necessary to pull out before the fees start to apply. If I did it again I would diarize when the fees become payable as, prior to calling Amex, I did not know if I could get back any of the fees, let alone 100% of them. Yikes, that is a scary story. My own personal threshold for reward card hassle falls BELOW signing up for a card with any sort of annual fee. You’ll note that the $400 card I described in this article does not have a fee. This, there are not even any snakes available to bite me. Some of the Super Rewardists successfully game the fee-based cards as well, but from what I have seen there is plenty of cash available even in the no-fee category. So if I do this again sometime, I’ll just pull another card out of that hat. We have made $150 on the credit card game this year, and I plan to get the Chase Ink card for my business this month. I know it has been mentioned before but none of this works in your favor if you do not pay off cards each month. They offer these incentives knowing they will get it back in the long run with fees and interest payments. Also if you are looking for a decent card for cash back The American Express Costco card is pretty good. I opened a bunch of credit cards to pay for part of my honeymoon and hotel stay during the wedding week. It was great. We were able get 5 nights free (one in Hawaii). This is great and just so timely. My husband shares Mrs. M’s attitude and I share yours. We’ll be signing up for at least one new card this year to get us out to Seattle for vacation. I’m not against coupons, it just seems that only 1 in 500 has something I actually want to buy. I made a couple of thosand dollars off balance transfers back in 2006 (ah the days of 5%+ interest in online savings accounts…) With rates so low (and balance transfer fees) it’s not worth my time but I have been taking advantage of a few cash back for opening offers. We got $380 cash from Chase a few months ago and today I made the one purchase that will net me $550 in Amazon gift cards from Citibank. I found that one from http://www.mydollarplan.com which features free money deals every friday. I keep getting those 0% but really 3% or 4% checks in the mail. I probably get as many of these from my bank as random credit card offers. A year ago I purchased a shredder pretty with these checks in mind. Last week I finally thought to call the number on the letter and tell them I want to opt out. Had to go through the automated system for balance transfers, but when I actually got to a person I think she did take me off that list. To eliminate the mortgage PMI, I wrote a $15k credit card check to my mortgage, which meant I now had 20% equity. A quick letter to the mortgage company reduced my monthly payment by $125 and also reduced the amount of interest I was paying each month. I did the thing where you use the credit card to increase your down payment enough to avoid mortgage insurance… between the tiny spread between the card rate and the mortgage, and the insurance savings, I’m about $2K ahead. But the bank kicked up a bit of a fuss about it (which my mortgage broker smoothed over). I guess I shouldn’t have done it using a credit card with the same bank as the mortgage holder! A real mustachian, I imagine, wouldn’t even think about buying property until she or he had built up a whacking big down payment through savings. But that’s not where I am, I fear. MMM, you are so funny. I first came upon your blog about 3 months ago and have quickly devoured over 100 articles. It’s curious to see that a lot of the stuff I have found browsing the internet for the past 2 years is on your blog. For ex., Bigger Pockets with the foreclosure and rental games, rewards CCs (see creditboards.com, myfico.org), mint.com, and, this weekend, you were linked on another site I frequent, lifehacker, after I had already read your health/fitness article. I don’t appreciate this blog getting so much attention because then every whineypants will strengthen their frugality muscle through increased badassity, making frugal-living more expensive because of decreased CC promotions, increased demand for inexpensive products, etc. I am selfish like that. I wanted to contribute some to this topic in the form of other great ways to game/benefit from the CC system. American Express Blue Cash (original 5% with no annual fee (AF) is no longer available, but you had to spend $6,500 to get bumped up to 5%, instead try Blue Cash Preferred with $75 AF (seems counter-intuitive, but wait and continue reading) for 6% back at grocery stores) –> buy VISA/AmEX/Discover gift cards at your local supermarket at 6% cash back and then deposit as cash into your checking account OR order coins from the US mint (old news now) and deposit those. OR use those gift cards for normal spending as they were bought at a discounted price OR compound the savings by using those cards to buy discounted store gift cards (Home Depot, Lowes) off of plasticjungle.com. Chase AARP 5% for 6 months card –> abuse as above, but get rewards in form of check, not as statement credit because they have been stingy recently towards abusers. Fidelity 2% AmEX – 2% back on EVERYTHING. These are just a few things I’ve learned over the past 2 years since I started focusing on all things financial. Peach-fuzz mustachians should Google authorized user piggy-backing and bumping hard inquiries for info on improving your credit score so you can then game the system through reduced mortgage rates and CCs as above. They should also read just about anything on creditboards.com or myfico.org for other ways to improve their credit score (even if they have baddies –> see pay for delete). The best I have done is $600 bonus for spending $2,500 in 3 months. First, thanks for the link! I agree with all of your warnings. This isn’t for anyone who carries a balance or has a low credit score. I don’t have any credit needs in the near future, so it works. Ethically, I have no problem. I am using the cards. I only cancel when there’s an annual fee. 3K in a year, with little effort, was a no-brainer! I don’t know. . . somebody told me not to play with snakes. . . I have credit cards but since we were able to pay them off, I’ve pretty much left them alone. People like me, who are inclined to be debtors, have to stay away. As a Canadian, I’m a bit jealous of the offers available on some US credit cards. Cards here don’t tend to be as generous with the sign-up points and rewards (and often come with an annual fee). Still, by watching for special offers and using certain cards for most of my (mustachian-level) spending, I managed to collect over $600 in cash back and over 30k frequent flyer miles in the past year or so. As an aside, a few months ago I assigned a ‘cash’ value to all the points (hotel, airline, store, credit card, etc.) that I have collected, based on each program’s redemption rate for cash or gift cards. I was surprised that this totaled over $1500. (I’m sure others would have much higher amounts.) Points in most of these programs are regularly devalued and eventually expire, so unless one can quickly accumulate a lot of points (and actually redeem them), there’s usually no benefit to saving them. Needless to say, I’ve started cashing out my points and consolidating them where possible. As a fellow canadian… Where/how do you cash your points? I’d be really interested, for the same reasons… Thanks! Hi, it depends on the program. For example, I cleaned out my Air Miles account by redeeming for Shell gift certificates. I buy gas anyway, so I save the cash I’d otherwise spend. Note that Air Miles recently announced that their points will start to expire; if you don’t earn them quickly enough to redeem for a flight, it might be best to redeem them for gift cards. I also had some points in credit card programs that have a cash redemption option. So it was a matter of a few clicks and I had a credit on my statement or a deposit into my bank account. I still have a bunch of “orphaned” points–I need to spend more money in certain stores to reach the next redemption level. I won’t go out of my way to shop at those stores (or to go shopping in general), but will keep an eye on my point totals when I do. Yeah, I should do that with my Air Miles… Thanks for the info! I wouldn’t pay any money for a credit card. That just seems crazy. If you get a Mastercard with President’s Choice, they give 1% and sometimes 2% back as groceries at Loblaws and related grocery stores. Amex does something similar with Costco, but they give you a check for the money instead of grocery points. Wow – check out the new Senior Mustachian avatar.. very nice!! I agree with those credit card choices when in Canada – I loved my PC card back in the day. I’d say that figuring out how to get GIMP to rotate both the toque (or “tuque”) and the mustache consumed most of my effort. But I now have an excellent, Lanny McDonald level gravatar, so I think it was worth it. I might touch it up later so it looks like my fingers are in front of the mustache instead of behind it. – Getting miles as rewards means I’ll be spending them on travel, which I don’t do enough of. – It has my Skymiles number printed on it, which means I don’t have to log into my Skymiles account to look it up whenever I need it. – I can check bags for free whenever I fly. I have two other credit cards but haven’t used either of them in at least a year. It isn’t really gaming the system, but our BP Visa credit card has saved us thousands over the last 8 years by saving 5% at all BP stations. You can almost always find a BP station, even on road trips, and 5% is a huge discount on gas. (and I even get a water or snack once in a while on a road trip which also gets the discount) It only covers up to $500/month on gas, but we rarely go over that. It also has 1% back on everything else, but we use our Discover card whenever possible. You have to request checks back every so often, I wish they would just credit the account, but the checks come quickly when you request them online. For Discover rebates we usually get Lands End gift cards at a discount for purchasing kids clothing that we can’t find at thrift stores or garage sales. I got a $50 credit when I signed up many years ago, but they don’t do that any more. You do get double discount for 60 days when you sign up though, so if you signed up right before doing a lot of traveling you could save over $100 in those two months. 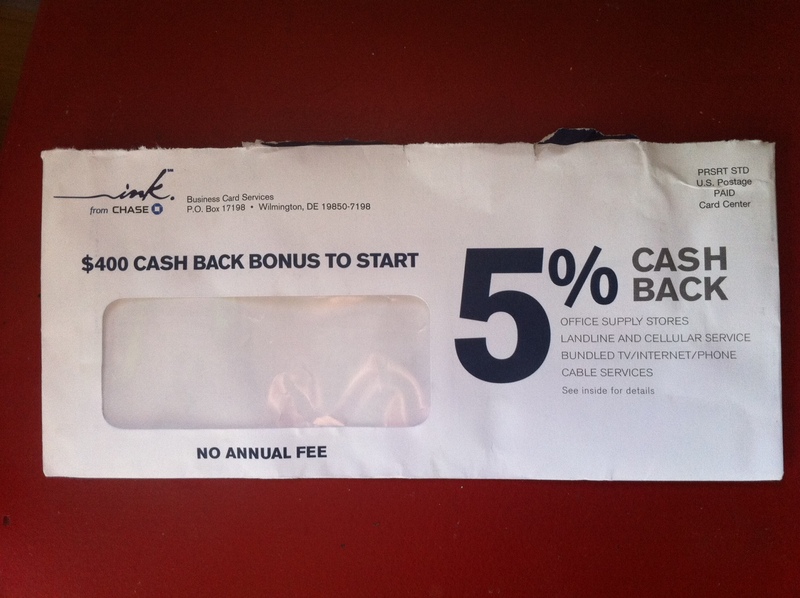 Chase AARP, 5% cashback for six months is ideal for the people with significant expenditures, ah, including me. Only problem is I’ll need to find a replacement card in 3 months. I’ve never heard of credit card giving away that much cash for a sign up but that’s good to hear. I recently signed up for the Southwest rapid rewards card and got 50,000 bonus miles for it. Now I’m flying roundtrip to Washington D.C. for only 7000 miles, leaving another 43,000 miles. Picking the right flights, that’s still enough for about 2 round trip flights into Denver for some snowboarding. All in all that’s about $450-$600 in free flights. Although there was an annual fee of $79 (for which I’ve already noted in my calendar to cancel before next year). How timely! In the last year, I have actually started signing up for points credit cards specifically with the intention of going on an overdue honeymoon with my wife. Since last January we have collected almost 700,000 points and miles, enough for a round-the-world ticket in business class with which we will visit several countries and get free or significantly reduced price hotels. I would like to alert your readers to a new deal, however. Chase has offered their Sapphire Preferred card recently with a 50,000 point bonus which was redeemable for, amongst other things, $500 cash. There is talk of a 75,000 point bonus released last night. Keep on the lookout! One problem with closing your Chase credit cards–they stay on the online list. They turned one of my cards into a clone of my other card, so I canceled one, but there it is every month telling me that I owe $0. Annoying. It would be even more annoying sifting through eight closed accounts to find my one open account. My mortgage, on the other hand, disappeared immediately the day they got my last check, so I had no more access to my payment history or how much was in that account they use to pay taxes and insurance. The account I closed with Chase stayed on the online access for months, but it has eventually disappeared. I didn’t notice when, but its gone now. That would be lovely! I’m pretty sure mine was closed over a year ago, but it’s nice to know that it might disappear one day. In fact, I took that post’s picture in the cabin. But I never fly anywhere, ever, under any circumstances, and I get between 1% and 5% back on all purchases (depending what they are), which I redeem simply by logging in and clicking a button to apply it directly to my current balance. And all it requires is paying with my credit card instead of my debit card, and then paying the balance off in full once a month. How could that possibly not be worth it? Indeed – Fat Money Pig is a nice guy, but he can be a bit Antimustachian at times. The goal is to become financially independent here – rather than to perform hedonic adaptation experiments on ourselves in the form of business-class flights overseas. You get the cash back from your credit card, then you invest it in assets that earn you more passive income. You don’t trick yourself into thinking it is “free money!”, or “a free airplane flight!” and increase your spending as a result. Maybe I shouldn’t have opted out of all pre-screened offers from all companies! At the end you say you are opted out too, so where did you get the initial offer? Good question – this offer came addressed to my old housebuilding company, which I closed over two years ago. An old file at Chase, which is always a rather disorganized company, I find. But you don’t have to be on any mailing list – all of these offers are available online as well. Shucks, I’m jealous. I signed up for the Chase Business ink card from a mailer and only got a $250 bonus. Just got my $500 from Chase! Thanks for letting us know this was out there. Glad to hear it Bakari! I also just collected my second Chase bonus (got $400 for the ink business card and $500 for the Sapphire card). Pretty funny stuff, and I wonder if this arms race between the card companies will continue. There is the general public who blindly spend and keep the debt going. There is CNN money type people who get a big audience. There is the NPR crowd who are intelligent and in the know. There is the MMM who are the rare breed of working the system. But even you, MMM aren’t going to share the next level of this “working the system” are you? Please don’t. Please keep the obvious ones in your posts please. Huh? I’m not even sure what the next level of Working the System would be. Starting my own credit card company? Opening a payday loans shop? Becoming a politician or lobbyist? Please elaborate, I am interested. I try not to advocate anything here that is socially counter-productive. There is plenty of riches and happiness to be had, without ever having to resort to douchebaggery. I’m completely confused and really hope you aren’t some loony conspiracy theorist, Rich. MMM, long time lurker, first time poster. March 1st, I’ll be applying for the Citi Premier card, Citi AA mastercard, and hopefully a bumped up Chase United card. Total cost of cards above so far (since almost all waive high 1st year fee) $100. Amount of little fees paid in order to use CCs to boost my spending: $100. About 2/3’s of the cards mentioned will get the ax before the annual fees are due. That will lead to around $300 in renewal fees starting around August 1st-December 30th. Credit score took a little hit (mostly because I cancelled some old cards — dumb) but it’s fine. So I now mutter a few swear words at the bank as I shuttle each of these offers from the mailbox to the document shredder. I call them “inconvenience checks” for the same reason. I have 2 credit cards, and get at least 4 of these a month. If you call or write to them, they will stop sending those. I had to call several times, but they eventually stopped sending them. The AMEX card that pays back with a Costco check every year is also a good thing, IMO – we get 1% on regular purchases, 2% back at restaurants, and 3% back on gas. Considering we hardly ever eat out, and daily drive is about 2 miles, most of the cash back rewards come from our grocery shopping and other purchases., but using the card and paying it off immediately nets us a bit of a reward over using cash. Sing up bonuses seems to roll recently for us also. Each of 8 cards required to spend $500 to get the bonus but most spending was done by pre-paying future expences, so no real harm to our budget and we are 1.9k richer !!! The Ink card is great, and it’s definitely better than just a 1% cash back card. I don’t do the “sign up for lots of credit cards for the signing bonus” schtick, since I don’t want to mess with my credit rating that way. I do, however, have a small handful of reward credit cards that I use for specific purposes based on what they offer cash back on. The Chase Ink card gives me more cash back (I think it’s 3%; 5% is probably just promotional) on hardware stores, office supply stores, and restaurants. So I use my Chase Ink card only in hardware stores, office supply stores, and restaurants. Those are great categories, because there’s no overlap with the other cards I’ve found. So for me, it’s a straight 3% cash back card. I’ve got another card that annoyingly rotates 3% categories every quarter (down-converted from a predecessor card that was much better in its reward system), making it hard to remember what to use it on (end result – I don’t use it much), and a card that I use for everything else, which is a straight 1% card that also gives 5% on gas (it used to be 1.25%, but everyone’s cutting back on their benefits). And heck, I don’t even technically have a business! Chase offered me the Ink card a number of years ago, so when I saw the 3% cash back in 3 very useful categories, I jumped on it, and used my martial arts club as my “business” on the application form (the reason it’s not “technically” a business is that I teach at a local rec center as an hourly employee, as opposed to charging students myself and managing expenses). Based on the comments, I’m amazed that anyone would close a credit card. That’s a dinger on the credit score and inhibits ones ability to gain further credit. Balance transfer are safe, but your income level will define an ability to build out further credit and gains…no gains folks. The math is straight! They win. I’ve been using the Chase Sapphire Preferred Visa to earn points, combining that with 5% bonus categories on the Chase Freedom card and always getting an extra 20% by using the points for airline tickets. Calculated opening and closing of credit does not hurt your credit score, and it’s a way to win big in points. I’ve done about $2000 worth of signing bonuses since I’ve starting following blogs regarding travel points. Lastly, I’m surprised you are not using a bidding website like Priceline to save huge amounts on hotel costs. PS The Chase Sapphire card required $3,000 of purchases each to get the reward bonus. Luckily, we could use the cards for rent (plus gear, we are bike touring) which allowed us to hit the mark without increasing our normal spending. Horray for exorbitant DC rent prices! I’m new to this blog, it’s been awesome reading all the tips from Mr. MMM and other readers. This is an excellent community, better than any professional finance related sites :) My husband and I both have good credit scores. We had two mortgages for our first house back in 2003 due to high property cost in San Francisco Bay Area. The second mortgage was 7% for 50K loan .We were able to get several 0% credit cards to pay off our second mortgage in several years, that certainly save us tons of interest. We have continued to game the system with credit cards and bank offers ( proud of that :). Both my husband and I have opened several credit cards (love Chase), saving and checking accounts. We used the cash back offers to pay for two vacations to Hawaii for three people in the past two years. That’s about $3000 total for the airfares alone during peak season. Here’s a new tip we just learned from a Silicon Valley teacher during the recent Hawaii trip if you are a big fan of Hawiian Islands. Look for British Airway 100K point offer which happens once or twice a year, that translate to about 4 tickets from Alaska Airline to Hawiian Islands. We also came across many young people backpacking, camping and hitch hiked in Kauai. They picked fresh fruits every where for meals. I wouldn’t mind doing the same if I’m in my 20s or 30s! But now we rental a reasonable price condo and pick up food from Costco to cook. First post here and like much of your advise/stories. But gaming the card system is a sham- yes you got some money in your pocket but your perceived moral victory over the banks is ill-conceived. Don’t you realize this just leads to higher prices for all the things you do need to buy? That 400 bucks is not free- you’ll end up paying for it penny by penny in higher prices, and you are actually making things worse for all consumers, responsible ones or not. I appreciate the caution, Dmitri, and I agree that the best system would be one with no credit cards where we simply pay with direct debits from our bank accounts and prices are 3% lower. We’d also consume less as a nation, since most people spend more when given the chance to buy on credit. But I disagree with your estimate of the net economic effect of me getting a new card. I am not increasing the use of credit cards – I already use them for 100% of purchases, because that’s how the US system is designed. Prices are inflated to account for the fees, and you usually don’t get a discount for paying cash (when you do, I pay cash). One solution would be for retailers to start offering these discounts, to short-circuit the use of credit cards. The card issuers use their lawyers to try to make this practice very difficult. So as citizens, we could choose to pass laws to uphold the right of all retailers to offer cash discounts. Of interest is that Mastercard and Visa just settled a suit with retailers regarding alleged (not proven since they settled) collusion to fix swipe fees. Part of the settlement is that retailers may pass the sweep fee on if they choose to do so – this was not allowed before. So cash discounts (or the inverse: credit card surcharges) may be the wave of the future – it might really dampen credit card use. I would be all for that, personally – I feel like I just figured out the credit card travel bonus game and I feel like I’ve made a small bundle on it, but I won’t shed a tear if the whole silly game goes away and people relied on saved money to buy (or not buy) things. I just used the CreditKarma link to get myself a new Capital One card, a pretty good deal. We only had one credit card, but the recent Target data breach taught us that a backup card is in order. As an update, I looked into the Amex cards, but the 6% cashback on groceries does not apply to big box stores like Costco, Walmart, etc, and the 3% gas also does not apply to them either (because they are not gas stations). So with the annual fee, this looked less attractive. I recently got wind of Capital One’s new “Quicksilver” card, and now use it as my baseline card for all “miscellaneous category” purchases. 1.5% back on everything with no annual fee, making it the best free cash back card out there by far. The only cards that are even arguably better are giving rewards in travel points, which doesn’t help if you don’t do frequent personal travel. I still use my Chase Ink card on restaurant, hardware store, and office supply purchases (3% back), and I have another card (local credit union) that I use for groceries and gas (2.5-4.5% back). I also have the Chase Freedom card, but its rotating categories are a pain, so I’m debating whether or not to keep it. My credit rating is good enough that I guess there’s no harm in keeping it for the occasional benefit. I was unaware of this game until recently as well, but having been just slightly less recently schooled in frugality by this blog amongst others and realizing that I had assembled enough green employees to stop being one, I had a lot of time on my hands coming up. If you’re willing to disregard credit score effect (which shouldn’t be too harsh anyway) given you’re going to be traveling a lot in a year you can go hog wild and get 1-2 cards per major bank (Chase, US Bank, AMEX, Barclays, Citibank, Bank of America) on both you and your spouse. Yes, there are some fees involved, and certainly some diligence but I believe I have heard here that there are great benefits if you can tolerate some discomfort ;-). With the input of approximately 40 hours of work, and channeling a bit of the spend from the job I won’t have much longer, I believe I’ve incurred a total cost (including opportunity cost of $1,237 for a total value of $13,167, or a net win of $11,930. $300/hr is a wage I’ll take, esp when it’s tax free and results in the missus and toddler getting a Southwest Companion Pass, and having enough miles for a OneWorld Explorer Award (google that one!) in business class (something I’d never spend real money on, but it’s a sweet spot of award value, it must be done). As a bonus, it’s kind of a fun puzzle to solve. What are the miles worth? What am I paying to acquire them? NOT for the faint of heart though. Make for damn sure you’ve got a spreadsheet that indicates when annual fees will hit so you cancel first. Tune privacy preferences. Auto-pay full balance. And save a forest by doing electronic statements please. That said, know that it can be done. I have no idea why they set this silly game up but I like winning games. I thought I read that some banks will send you a document to pay taxes on the bonus? I also just recently found out about this, and am planning to do a few of them to see how it goes. I also noticed I could open a few checking accounts, do 1 direct deposit and collect any where between $100 – $150 per account. any one ever do this with checking accounts? I know for the checking / savings bonuses you describe (which are almost exclusively offered from Chase) they will 1099 you the bonus as “interest”. I have also tried one of their “$150 for $1500 fresh money into checking” offers – though note most of these require direct deposit as well so be careful to make sure you capture the bonus. I expect to get a 1099 for that one. But it is my understanding that since the fake currencies that are the points systems are defined as having no value, those are not taxable events when you get the bonuses. I’m not expecting to get any 1099s for those and I haven’t heard of that happening though if you have reference I’d love to see it! As for status (why not?) at this point I’ve nearly finished collecting necessary points for positioning and open-jaw long-haul on two different carriers as well as the needful for 3x OneWorld Explorer tickets in business class for up to 25,000 miles flown, as well as a Southwest Companion pass for domestic travel – it really is working, and I’m 7 weeks along now. Main credit score impact should be realized at this point and it appears that the 10 new cards I opened took me from ~800 FICO to ~770. A tangible impact worth minding, but a tradeoff that is worth it to me for now. For folks less interested in games/arbitrage there are opportunities to get points if you put fresh money into Fidelity accounts (American Airlines partnership) as well as if you open a bank account with BankDirect and put money to work there (also American Airlines). Both seem fine as far as they go – those are money tools you may need anyway, and getting some icing on the top works for me. For any points offers, you will usually not receive a 1099. The exception is Citi’s checking offer. I received some AA miles through that offer a year or two ago, and got a 1099 for a hugely inflated value of something like $0.025 per mile. You can always try to call and negotiate, or submit a form with the IRS to dispute that value, but honestly I don’t know if that’s worth the effort for me personally. I just paid the tax and went on. It was still a good value for me. The AA Explorer awards are amazing – be sure to get a free one-way on the return. Since the ticket is valid for 1 year from date of issue, tack on a random flight to somewhere in the US after your main Explorer trip to use up any remaining miles or segments. Some people have tried using this for a free one-way to Hawaii, for example. My wife and I used our 25,000 miles to the max. Sounds like you know what you are doing, but be sure to know what segments you want when you book, including “just in case” alternates. I used KVS Tool and found it made things much easier, especially when searching while the agent was on the phone. Good luck. If you’re posing any trip report or photos, I would love to see! Have fun on your awesome trip! yes, looks like you are right, read up on them, even tried out the chase sapphire preferred, and it seems only the checking accounts will send the tax form. Thanks for the info. Just got my $500 from Chase Saphirre, super easy, only took a few weeks to spend and collect cash directly to my checking account. Next, I signed up for the SouthWest Rapid Rewards card, and after reading here, and then comparing to what I’m seeing on their website, it appears things may have changed. As far as getting the Companion pass, it seems as though they are no longer counting the sign up points (which is 25k per card, I’m guessing you can get one of each). Does anyone have any recent experience with the SouthWest Rapid Rewards? I hope I am reading this wrong, but it seems like it is 25k points now, and 50k, and it seems as if those introductory points (although they will get you money toward travel) don’t count toward the companion pass. My husband and I signed up for the travelocity AMEX card after reading your blog. We were racking up points and throwing high-fives looking forward to our future trips we would be claiming our points for. Right as we were about to bank in our rewards points to buy a couple of tickets to Mexico, the card changed its policy. We are now only receiving half of credit we would have received a month ago for the same points. The process itself has also changed in that you receive money back after buying tickets, instead of using your points to buy the tickets in the first place. This has made us quite peeved as you could imagine. We are considering changing to a new card where we can get more bang for our buck, but are worried about how it might affect our credit score. How has this change affected you and what are you doing about it? The “statement credit” game as opposed to advance purchase thing is something a lot of cards do though believe it or not. For what it’s worth, most AMEX stuff is statement credit, and since you ask for another card most of the travel hacking blogosphere thinks the Barclays Arrival card is the best general use card at a 2.22% redemption value, but it is also statement credit not advance purchase. I personally won’t use any credit card that “pays” me in a currency that isn’t a good store of value unless I’m working through the spend hurdle to achieve one of the hugely valuable bonuses for the exact reason you indicate. Hate having the rug yanked out from under me! If you fly a lot, the Southwest Airlines card from Chase is extremely useful. And if you really want to game the system, sign up for TWO such cards (personal and premier) at the beginning of a calendar year. From there, it’s easy to rack up enough points to get a Companion Pass, making your points go twice as far. Each 50,000 point bonus is enough to book $833 of travel. Sign up for two cards and it doubles, then it essentially doubles again to $3333 once you have the Companion Pass. I also use the AmEx Blue Cash Preferred. I know I’ll be spending money at Amazon, Shell, etc, so I use the Amex to buy gift cards at the grocery store at 6% cash back. If you can hit the Kroger 4x fuel point promotions, you earn another 14% cash back by using the fuel points. 20% total cash back on gift cards from the grocery store! I very much enjoyed reading this post as I have jumped headfirst into the rewards game this year. Can’t think of anything better than using a credit card, not getting into debt, and getting rewarded for it with cash. Between my wife and myself we’ve successfully churned about 10 cards and received the bonuses. My question at this point is about applying for the same cards again after they have been closed for at least a year. If I apply and am accepted does that mean I will get the bonus or will I just get an unpleasant surprise after I complete the required spend and not receive any bonus? Any info you can provide on how to keep getting bonuses after already getting bonuses from all of the best cards would be greatly appreciated. I know some of the cards I’ve seen recently say not eligible if received sign-up bonus in the past two years, so look for similar verbiage for the cards in which you’re interested. I only discovered MMM a few weeks ago, but I discovered the CC travel game about 5 years ago. I sincerely wish I had flipped my finds though, I’d be so much further ahead! My wife an I have enjoyed three int’l trips and have a 4th scheduled for later this year. All airfare and hotels were covered through points. Honestly, we would not likely have taken ANY of these trips if not for the CC sign up bonus game. Our trips were still loaded with spending though: historical site fees, rail road passes, restaurants (non-fancy), activities (boat tours, treewalks etc). Admittedly, we did fall into a few tourist trap type activities. No doubt real Mustachians could probably save a ton more, but we did OK. All in all, I’d say our trips probably cost us a 1/4 or less of what they would have been if we hadn’t had points. I guess if we hadn’t the points, we actually might have even more money today, since we wouldn’t have gone. The experiences were so incredibly fun though! As a side note, our credit scores have never dropped more than 4 pts during any CC ‘app-o-rama’. In fact, mine keeps inching upwards. My credit report ding is only ever ‘too many credit inquiries’. Bah. I’m not at 850, but I got absolutely zilch to gain to go higher….beyond credit score bragging rights. I have been (almost) bitten a couple times playing the game though. I’ve had a few ‘late charges’ on pittily balances because I forget that I used one particular card over another and missed paying the bill. In both cases, however, a quick call was all that was needed to reverse the fees. Most CC issuers want to keep you even if they don’t realize you are a net cost to them. My wife almost lost out on a pile of points because she hadn’t touched the account in a year. Again, the issuer came to the rescue and redeposited the points. That would have been a $2000 equivalent loss in airfare… easy. She actually got flustered briefly about it! One must be meticulous and truly enjoy the CC game to score big. I’ll keep it up as long as they let me.